Ships Factory-Direct. Free Shipping via UPS. Newest Model. Made in USA. The Fresh-O-Matic Steamer, around since the 1950's and still going strong! And now, a new generation of this ever popular countertop steamer from Nemco with new features and benefits! Discover why no professional kitchen is complete without the Fresh-O-Matic! It�s the perfect way to instantly deliver freshness and flavor to your pre-cooked and frozen foods with one simple push of a button! No plumbing or water hook-up required. Fresh-O-Matic model 6625B Counter Top Steamers are backed by Nemco's full 1 year warranty and are Made in the United States of America. Available for Quick-Ship or Store Pick-Up at our Sausalito location. You can call us at 1-877-386-7766 or 415-332-5840 if you have any questions about the New Fresh-O-Matic Steamer. Fluff, freshen and steam things up with the versatile Fresh-O-Matic push button steamer-warmer. 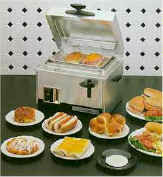 Thousands of operators have found success using the Fresh-O-Matic for heating everything from burgers to pastries. 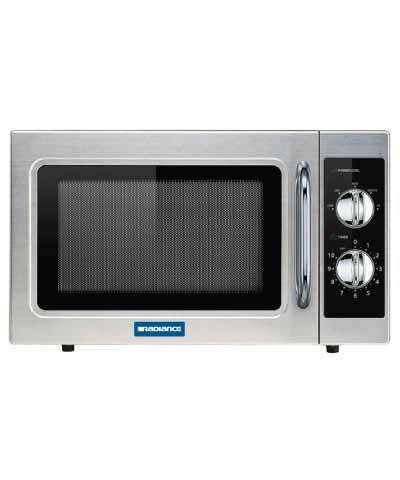 The Fresh-O-Matic is also perfect for preparing multi-portion, convenience and off-hours meals. Meats come out with that just-sliced texture and taste, and buns regain their just-baked, taste-tempting freshness. The Fresh-O-Matic is easy to install, too. Simply plug it in and add distilled water--no special wiring required. 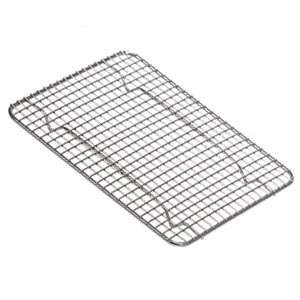 Make serving delicious, ready-to-eat hot foods fast and easy with the multipurpose Fresh-O-Matic. - Uses distilled water only. Baked Goods - 15 seconds Coffee cake, French toast, dinner rolls, hot dog or hamburger buns are hot in 15 seconds. Sandwiches - 60 seconds Melts cheese on burgers and heats BBQ sandwiches in 60 seconds. Pasta - 2 minutes Individual pasta entree with tomato and meat sauce is ready in 2 minutes. 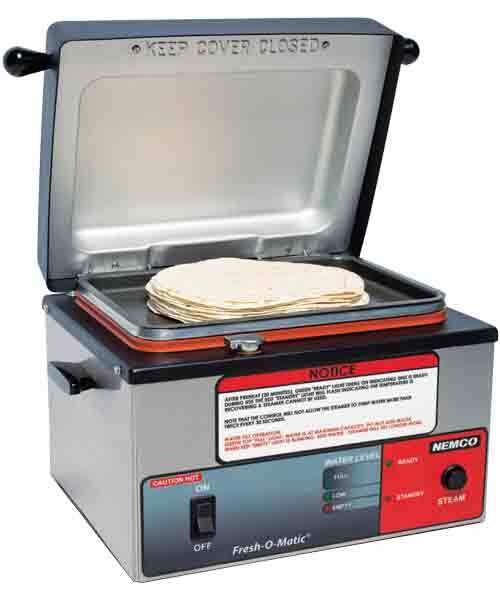 Burritos and Tacos - melts cheese on tortillas in SECONDS. Please Note: This product is formerly known as the Lincoln or Vollrath Fresh-O-Matic®: Steamer. *The Newest generation of authentic Fresh-O-Matic® Steamer is made by Nemco© Food Service Equipment. Shipping is FREE for UPS Ground Delivery Service or FedEx Ground. Please contact us if you need Next Day Air, or 2nd or 3rd day delivery on this product 1-877-386-7766. Or you may request your desired express shipping method within your order notes while placing your order online. We will contact you immediately with your revised express shipping cost before processing your order. Please contact us if you need assistance. The Fresh-O-Matic Steamer 6625B is also available for Store Pick-Up at our Sausalito location. Please contact us if necessary at 1-877-386-7766 or 415-332-5840 ***Multiple Unit Quantity Discount is also Available - Please contact us by phone.